And into the second week of November. Yesterday I finally succumbed and purchased another Fitbit One to replace the one I lost a few weeks ago. Was reluctant but it is motivating so decided to do it. Ouch to the price of it! I have been doing a little TV viewing, I know its most likely unheard of but I have not read the Harry Potter books, but as the movies are showing here on TV I decided to record and watch. Have viewed the first two and enjoyed. I also watched the first in the Victoria series by Daisy Goodwin. Liked it and it sent me searching for more historical information on her. While Victorian clothing looks dowdy to me in pictures, in colour on TV was more enchanting! I finished reading for review. From the TBR and backlist of Nicky Pellegrino. I have read the follow up to this one and I enjoyed this story of an Italian family in the USA. For review and it arrived with some mini bar chocolates so yummy .... and being enjoyed. A chunkier book with 600 pages and a number of characters this will take me awhile to read. Methinks it might start me off wanting to catch up on the previous ones in the series. And still listening to Calculated in Death on audio. From my own shelf, haven't tried this author yet - New Zealand one, and I found a follow up to it at the book fair so hope I like it. You'd think that the price of Fitbit One would have dropped more with all the new products available! I'll have had mine for a year next month. Sadly I haven't exercised in months but hope to get back to it with the time change. Glad to hear you are enjoying the Harry Potter movies. I do hope you'll read the books someday. They are so much better and the later movies can get confusing because of what they leave out or change. I can't wait to see Victoria. Just read the novel and liked it. 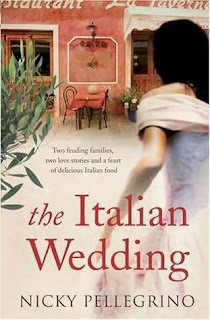 I'd love to read The Italian Wedding. I'm curious about this author. Enjoy your reading week! I haven't read the Harry Potter books, either, but have also seen some of the movies...three, I think. I liked them. But I tried reading the first book, and just couldn't get into it. Every Dark Corner looks tempting...but 600 pages. Wow! Like my book that I keep putting off (In the Woods), which also has 600+ pages. Enjoy your week, and thanks for hosting. I really wanted to read the Karen Rose but my 2 NG requests were both rejected! Hope you have a great week! I'm happy you enjoyed the first two HP movies. Jim Dale is an extraordinary narrator for the HP audiobooks. I love how he does different voices for each character. I enjoy reading that series by Karen Rose. I really need to get back to that series sometime in the future. Hopefully you are enjoying it! I am indeed Viki. Totally engrossed in it. The Karen Rose book looks interesting - long though! I'm the opposite in that I've read Harry Potter but haven't seen the movies. Enjoy! 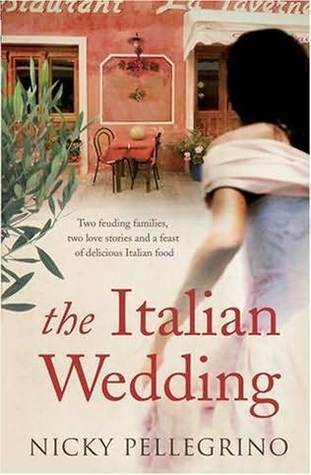 I came across The Italian Wedding a couple of days ago in a charity shop. I've been regretting not buying it. I might grab it if it isn't gone the next time I visit the shop. You accomplished quite a bit of reading! I still haven't managed to read Nalini Singh, but I really want to. I got busy with some book club books so took a break from In Death. I just hope it doesn't take me another year to get back to them! You had a great week...I like the looks of The Italian Wedding. Thanks for another great post....can't believe it is November. The Italian Wedding and Miracle on 5th Ave. look good. I haven't read Harry Potter either, maybe someday. I saw the first 2 movies. I love my Fitbit Charge. I wear it all the time. The Italian Wedding looks good. 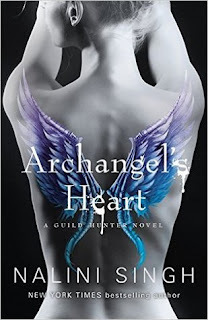 I have to get back to the Sarah Morgan series. I enjoyed the first one. Looks like you have a nice selections of books to read. Enjoy your new Fitbit. I noticed the price of new ones seem a bit high. A new fitbit sounds great, well done for taking the plunge, it is rewarding. I'm hoping to get one for Christmas as I know they can be $$$. Harry Potter - up until late last year I had also not read or watched any of the books. I think you are either a fan or not. I was issued a challenge by my book club to read a Harry Potter book. I ended up reading and watching the first book. Whilst I can see the magic in these books, it wasn't enough to make me want to read/watch them all! The new Victoria show sounds great, I hope we get it here. I have enjoyed Daisy Goodwin books. I hope you enjoy the Holly Ford book. I purchased the set online but they are still sitting on my sagging TBR pile! Enjoy the rest of your book haul! Sounds like quite a variety of books for you lately - enjoy them! I have to admit I've only read the first 2 Harry Potter books, and that was when I was reading them together with my son. I've seen most of the movies and like them, but truthfully HP isn't my fave type of read. I remember the author Karen Rose from a long time ago, and I see this series is up to #18--yikes. No wonder it is a bit confusing to you-- there is some serious backstory to that one. I like romantic suspense so I'm going to look for Karen Rose when I go to the library and see what I find. I saw the commercial for the show Victoria-- is it Netflix I think-- and I like some HF so maybe I'll watch it... or pick up the book! Glad you're finally watching the HP movies...hope you eventually get around to reading them...it is worth it in my opinion. 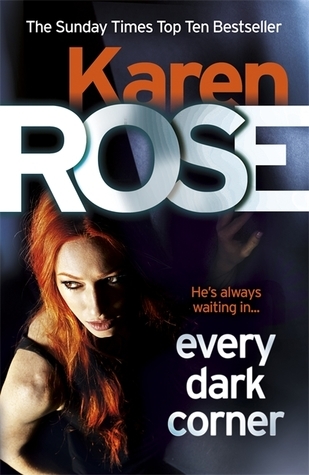 And regarding that Karen Rose...I've not read her but I hate reading series out of order. I am always confused! Now that you've watched the first two HP movies, do you think you will pick up the books? Not sure if I will ever get to read the books but may listen to the audio possibly at some point. I haven't read all the HP books or watched all the movies but what I have seen/read I've enjoyed. 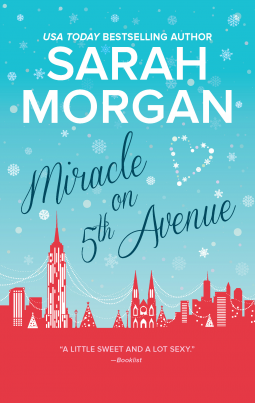 I have the Sarah Morgan and I'm really looking forward to it. It's a trope I really enjoy. Very curious about Victoria. I have the Daisy Goodwin book on my TBR and I love the idea of watching it as well. Have a great week! I like to save those chunksters for fall/winter reading. I am waiting for the waterproof fitbit to be released since I spend three days in the pool (I want the credit). It will be a Christmas present. I can relate to the ouch. My hubby and I got our fitbits last Christmas. His wrist band has been falling apart and he hasn't been able to find a band. Not sure he will order a new one. He needs a waterproof version. Your comments have me interested in Victoria. I hope you are enjoying the HPs. I listened up to the sixth one. Guess I should finish some day. I've enjoyed some Karen Rose titles -- not a big fan of chunksters. Oh, I do love the Harry Potter films. I'm currently rereading the books; I may have to have a movie marathon when I've completed them. 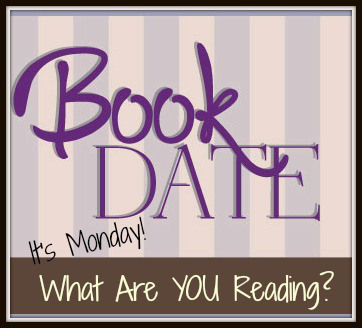 I hope you enjoy all your upcoming reads!